Sounds of the Inner Eye explores the artistic and biographical connection among three of the Pacific Northwest's most significant and highly respected artists. Mark Tobey, often aligned with the abstract expressionists, was a pioneer in integrating elements of Asian art into mystical, calligraphic paintings. Morris Graves, known as something of an art world maverick, combined Eastern religious beliefs and a deep appreciation of the natural world in his work, focusing initially on the Northwest's birds and vegetation. John Cage, an avant-garde composer, philosopher, writer, and printmaker, began his visual creations with graphic representations of musical scores, and then evolved to include printmaking, drawing, and watercolor. 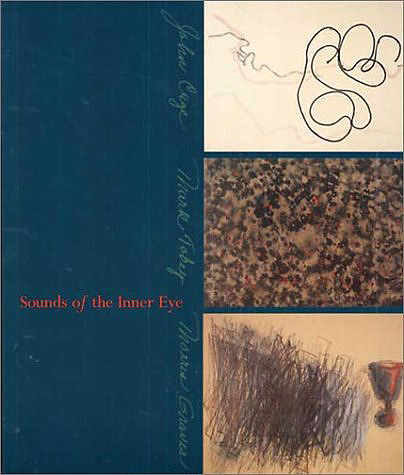 Sounds of the Inner Eye explores the lives and careers of these three men who were instrumental in leading a community of artists, patrons, and scholars into a deeper understanding of the potential and power of art and, in turn, had a large impact on much of what followed in modern art in America. Known as the Northwest Mystics, they were influenced by Eastern philosophies and the natural beauty of the Pacific Rim. Their legendary nickname has remained over time, helping to establish the Northwest as a center for artistic talent, worthy of the admiration of the international art community.